This is a realistic model of the Flying Car Prototype. This model consists of great geometry, fantastic detail, and the materials and textures are included. This model is divided into parts. Due to this, you can do editing parts of the model. The files are 3ds Max 2014, obj, fbx. The 3ds Max 2014 version is also optimized for V-Ray. 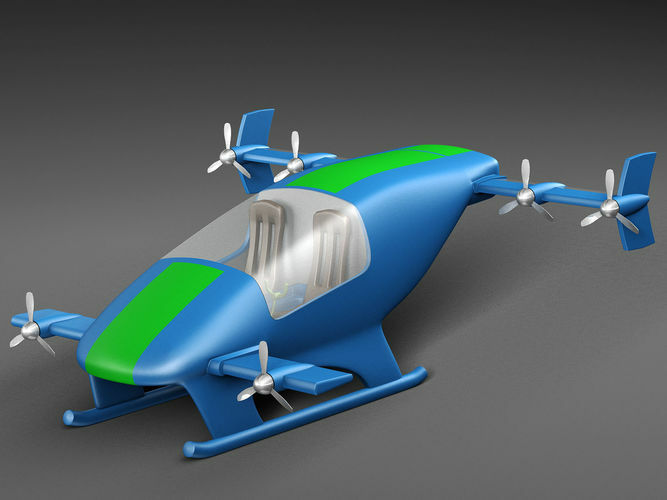 This model Flying Car is ideal for photorealistic visualizations. Unpack the format you need and run in 3D editor. I hope you enjoy my work. Thank you.